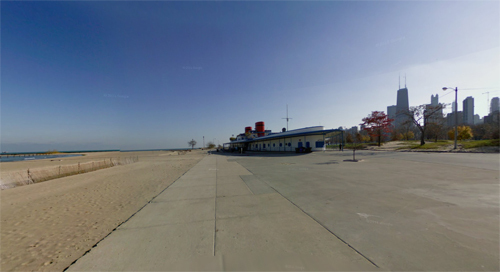 North Avenue Beach is located in Chicago. 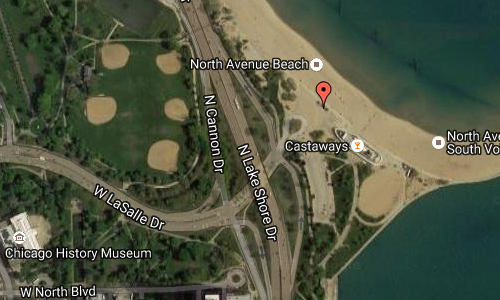 Here you will find Castaways on 1603 N Lake Shore Dr. The North Avenue Beach, located at 1600 north, is considered by many to be Chicago’s premier beach. It has the largest lifeguard staff and is home to the most developed beachhouse. 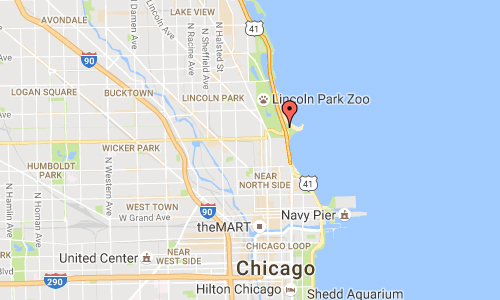 Technically running from North Avenue to Diversey Harbor in the Lincoln Park neighborhood, North Avenue Beach is characterized by its piers which hold the sand in place and create a scalloped shoreline, terminating in a Cape Cod-like hook. The beach hosts international volleyball tournaments as well as millions of sun worshippers every year. Chicago Park District lines the beach with poles for individuals and leagues to hang volleyball nets. These nets and this portion of the lakefront bike/running/blading path attract large numbers of people on weekends and weeknights. North Avenue is also center stage for the Chicago Air & Water Show, which draws over a million people a day from Ohio to Diversey along the lakefront. North Avenue Beach is the site of the annual AVP Chicago Open. 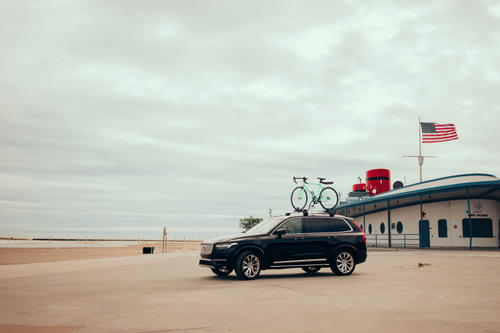 The beach house resembles an ocean liner and contains bike and sports equipment rental, a bar and restaurant (Castaways), concession stand, a lifeguard station, and restrooms. More information at en.wikipedia.org and www.castawayschicago.com.